Saiyan Host Club. 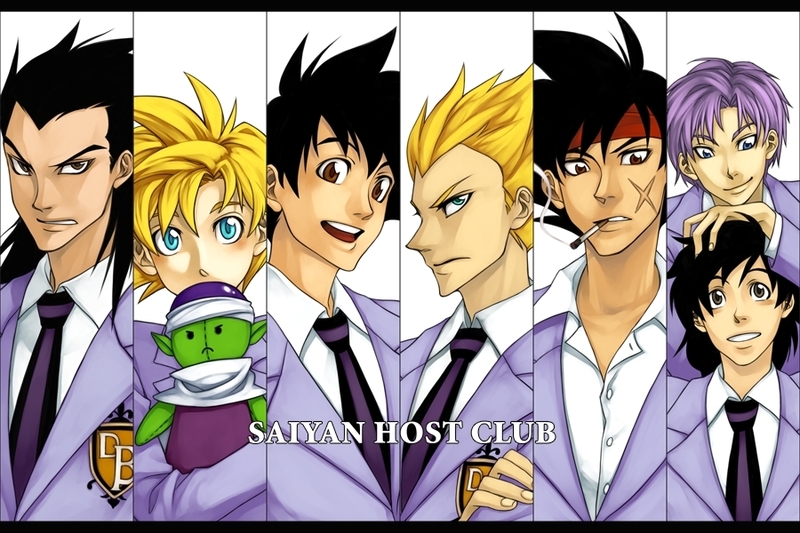 L to R: Raditz, Gohan, Goku, Vegeta, Bardock, Trunks and Goten.. HD Wallpaper and background images in the Dragon Ball Z club tagged: saiyan host club dragon ball z dbz gohan goku vegeta bardock trunks. This Dragon Ball Z fan art contains anime, bande dessinée, manga, and dessin animé. haha raditz looks like he wants to kill me gohan is soooo cute wit his dolly gokus looks all happy go lucky vegeta also wants to kill me bardock is smoking LOL and trunks and goten r supposed to b the twins but they look notin alike and wheres pan and who r vegeta and goku which one is tamaki and which one is haruhi?